Clay. Teachers either love it or hate it. In the beginning I honestly just feared it. I had some weird deep-rooted fear that if utter chaos was ever to break out in my classroom - it would probably be during a clay lesson. Clay does has the potential to be a really messy material with your kids - but if you know how to handle things... you're golden. 1. They get to build something with their hands. 2. Art class is probably the only time they ever get to use it. 3. They treasure their finished piece of artwork. It doesn't get crumpled up in the bottom of their bookbag because they're too busy admiring it and showing it off to their friends! Clay is also a GREAT motivational tool for misbehaving classes. "If we can't listen and follow directions then I don't think we're ready to work with CLAY." I wish there was a class in college where they taught us how to manage certain materials in your classroom. Wouldn't that have been useful!? 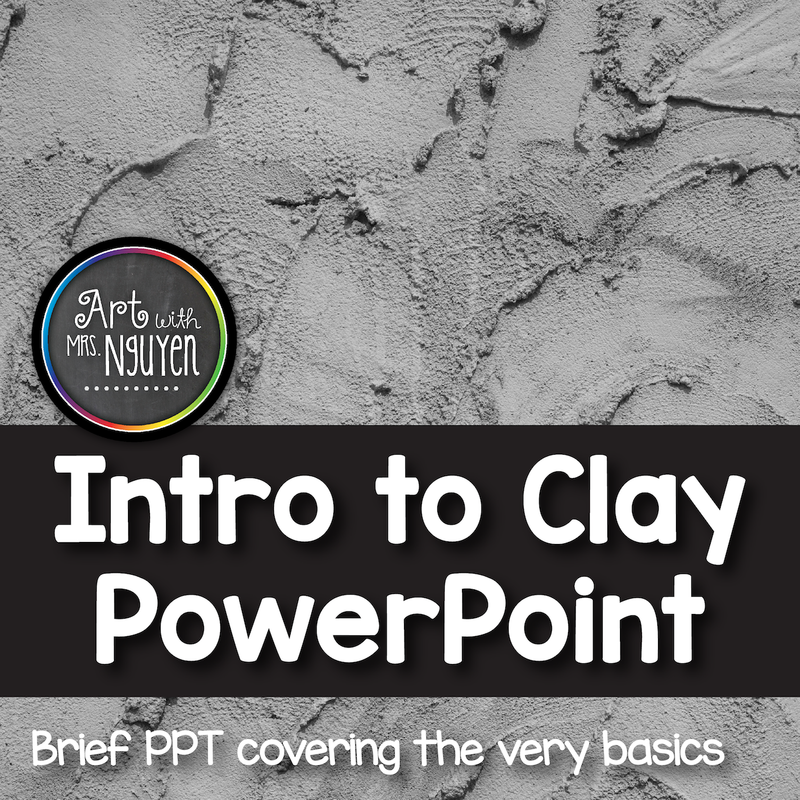 This year I started showing my students (3rd-5th grade) this PowerPoint before we started working with clay. It's a super brief intro to clay and the 4 basic techniques used (pinch, coil, slab, and wheel). The last slide (The Journey of Clay) helps to explain to students why it takes a while to get their clay projects back. **The images used for this PowerPoint were all just pulled from google searches. 1. Prep your clay BEFORE class. 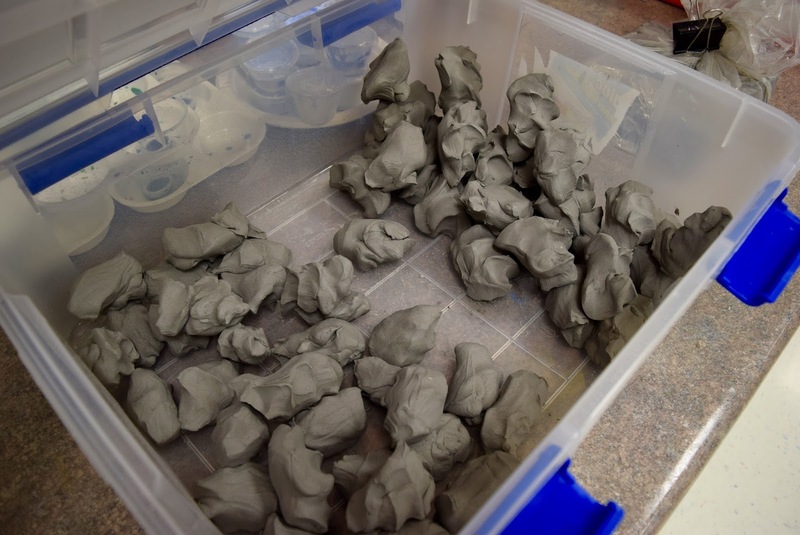 This way you can make sure that you have enough clay, that the amount of clay you are giving each student is sufficient, and you don't have to waste time carving it out during class. *Although my students are amazed to see how I cut clay with a wire cutter! Once I prep my clay I store it in a plastic container. 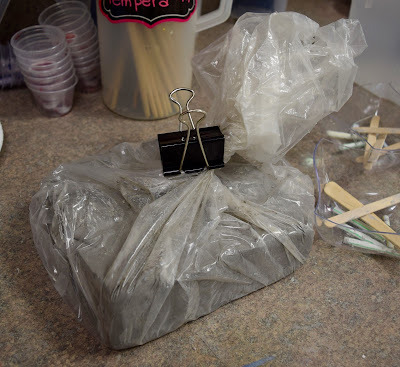 This year I even found a large Ziplock container which has helped to keep my clay super fresh! 2. Keep clay fresh in it's bag by using a binder clip to hold it closed! 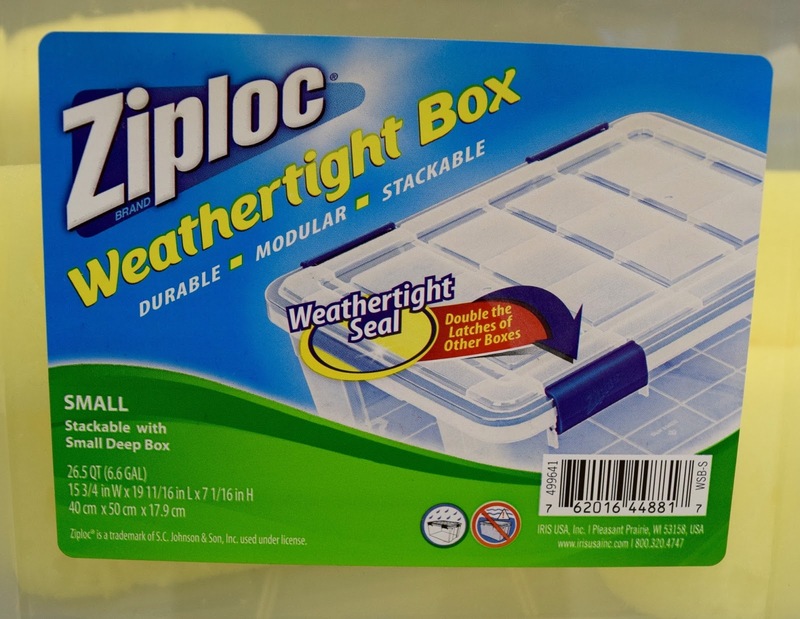 It's way easier to put on and take off than rubber bands and it will hold your bag closed tightly! 3. 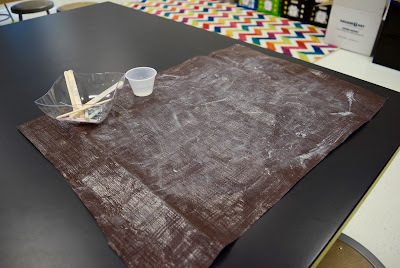 Don't fret over not having legit clay tools - at least at the elementary level. Unfolded paper clip ends, popsicle sticks, and straws will likely suffice for most of your projects. 4. Have your students stamp their initials into their projects! For YEARS I had my students try to write in their initials with a paperclip and 60% of the time I couldn't read it. 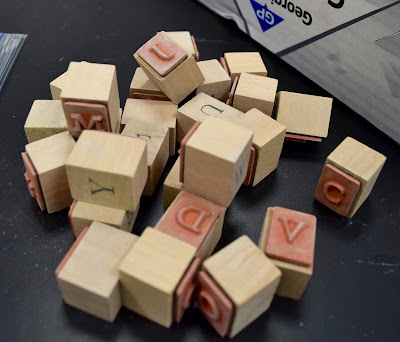 Then one day I was wandering around Michael's and saw some alphabet stamps on sale. BOOM. 5. Don't work directly on your tables - unless you love spending a ridiculous amount of time cleaning up that streaky residue that clay leaves behind! At my last school I cut up sheets of canvas for my students to work on top of and it was GREAT! This year being at a new school I didn't have room in my budget for canvas.. so I bought a large tarp instead and cut it down into smaller pieces. 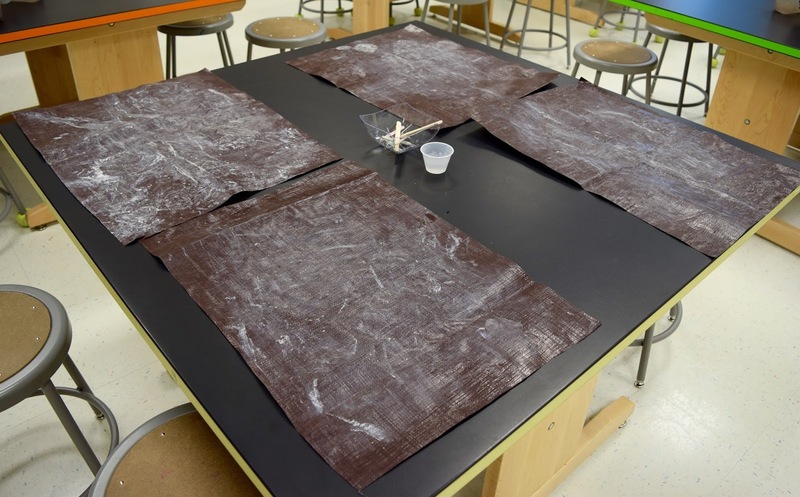 Each student gets their own tarp to work on top of, then at the end of class student's shake their tarp overtop of the trash can (to get rid of the clay crumbs) and then return the tarp piece to its box. 6. When firing in the kiln, be sure to write down (I do it on an index card) which class is on which shelf. You'd be surprised how quickly things can get mixed up when you have several classes doing clay at the same time! If you're stilling looking for some ideas on managing and working with clay you should check out the Art of Ed's Studio Ceramics class. It's entirely geared towards art teacher's creating and managing projects for THEIR students! It's awesome. I think the best places to find information are other art blogs or presentations at NAEA. I have a question about how you store your clay projects from class to class. 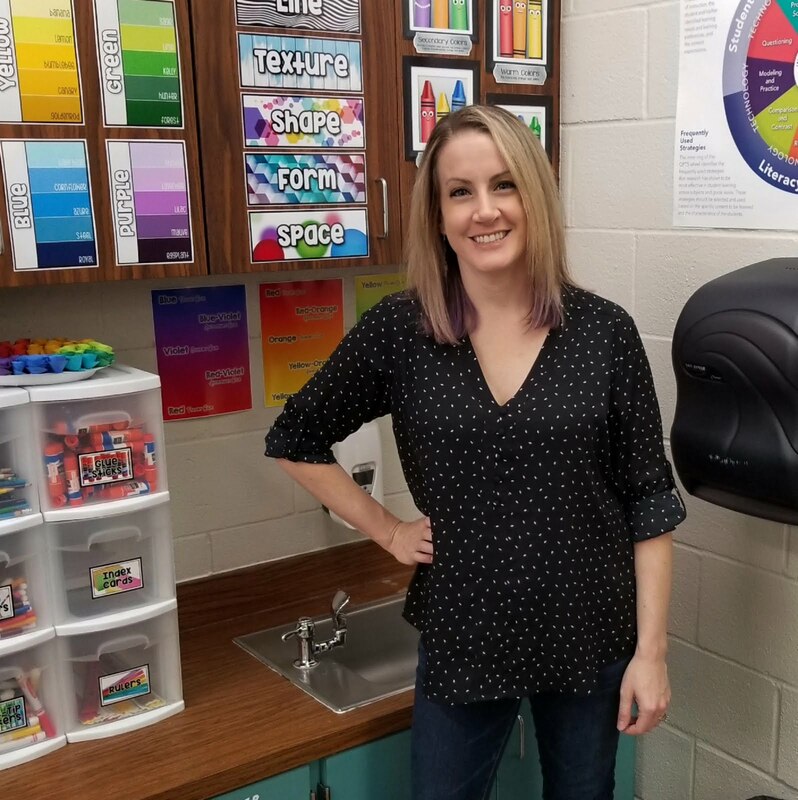 This is my first year teaching elementary after teaching middle school for years. Now I have to store 550 ceramic pieces instead of 125 at a time! 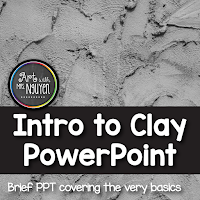 How do you manage storing clay for those projects that require more than one class period? I see my kids for 2-3 days at a time.. So we can finish our projects within that time. 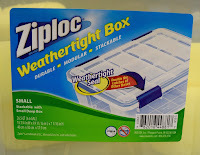 While things are drying out though I keep them in copy box lids. After things come out of the kiln I also put them in copy box lids and write the teachers name on a post-it that I keep in the box.